A health care administrator was talking with me about digital health tools. They’re everywhere, he acknowledged, pointing to several apps on his own smart phone. But he knew sometimes they weren’t all they’d cracked up to be. And this often fell at the foot of the provider. You don’t design these things! So what do you do? Read on for 3 steps to being proactive about the digital health tools used in your organization. Americans appreciate and use digital health tools. A recent industry report finds that 87% of Americans used at least one digital health tool in 2017. This is an upward trend from 80% two years earlier. The most commonly used, according to this report, was online health information. And health systems are paying attention. It’s hard these days to find a practice situation without its own website, social media presence, and text-message reminders. Another industry report cites that 66% of the largest hospital systems in the US make their own apps. It’s easy to understand the allure, both for patients and for providers. Makers of digital health tools say they’ll provide personalized support and tailored interventions to improve patient health outcomes. There are different tools for the time before, during, and after the clinical encounter. Digital health tools are being used globally as well, reaching people who are in remote areas. They are also part of strategies to impact non-communicable disease prevention and control. Even from the health literacy and patient education side of things, digital health tools are attractive. Digital health tools are very often multimodal, which is great for patient learning. Often, ‘engaging patients’ takes the form of ‘providing information.’ Again, the most commonly used digital health tool is online health information. That is to say, nearly 90% of Americans are using digital health tools like their computers and mobile devices to view health information. Here’s the problem: most of the health information and patient education out there–provided in any format, including digital–is still being written in a way that is inaccessible to most Americans. As more and more health systems incorporate non-clinical data in patient care plans, it is more important than ever to take into account all patients’ values, beliefs, and actions. Including culturally diverse patients. I’m not sure the answer is to have developers touch hands on a patient, any more than it is for providers to design the digital health tools. But something’s clearly being lost, somewhere in the process from idea to reality. But don’t lose heart. I promised you three steps you could take to be proactive about the digital health tools used in your organization. How easy does this tool make it for patients to achieve this purpose? In other words, what does this tool assume that all patients know and can do in order for them to achieve the purpose? Here’s where that health information likely comes in. What do patients have to know about their condition in order to proceed through the pages of the app or site? What wording and images are being used to communicate relevant health information? How can this process be made easier? What obstacles can be removed? This is one way to use that patient feedback. Those complaints you might receive, like the administrator mentioned at the start? Here’s where they’re valuable. Overall, this is about the kinds of assumptions organizations are making about their patients. Assumptions about what people want digital tools to do. Assumptions about what patients themselves know and can do in order for successful use of the tools. 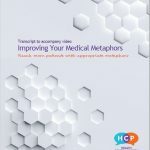 Assumptions about peoples medical, scientific, organizational and technical knowledge. Assumptions about all patients, not just the average patient. This is especially relevant with the rise in importance of culturally-tailored interventions and tools. Ready to improve the health information in your digital health tools? 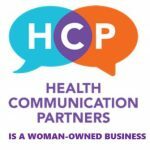 If you like guidelines like these that take some of the guesswork out of your content creation, HCP has the resources available to help you create or modify your health information content with health literacy in mind. It’s a framework that lets you meet or exceed recommendations from federal agencies, so you know you’re producing health information that engages all patients. Ready to get started? Contact me here.